Preventative property maintenance certainly is an important aspect of keeping your residential, commercial, or industrial real estate in tiptop shape. Many property owners attempt to perform particular tasks themselves in order to save some money. 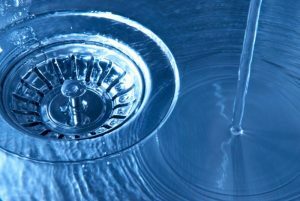 Drain cleaning may sound like something that is easy to accomplish yourself, but it is actually quite the opposite. For example, we receive countless calls each year from people that pour liquid drain cleaner down the drains in their homes, place of business, or investment properties. Not only are these off the shelf products completely ineffective at cleaning the drainpipes and sewer pipes, the chemicals actually eat away at the pipe materials causing serious damage. It can end up costing you thousands or even tens of thousands of dollars to have your drainpipes and or sewer pipeline repaired or replaced. Other property owners attempt to clear clogged drains themselves using plumbing tools that they purchased at the local hardware store. This may seem simple, but these tools cause damage when in the hands of people that are not trained or experienced in how to properly use them. It does not take much force to break a drainpipe, sewer pipe, or plumbing fixture with a metal tool or snake. A simple slip or wrong turn of the hand could lead to a serious repair bill. The bottom line is why take the risk when a professional drain cleaning in Florissant, Missouri is only a click or a phone call away. The service is non-invasive, affordable, and when performed on a regular basis will help to prevent major plumbing and sewer related problems from occurring at your property. Plumbing contractors, like Nu Flow Technologies incorporate the use of the most up to date tools and equipment combined with field technicians that are both highly trained and vastly experienced. When executed correctly, drain cleaning keeps the grease, food particles, hair, soap, shampoo, and other items that go down the drains on a daily basis from building up inside the pipe walls. When left untreated the buildup leads to clogs that cause backups in the system. This results in sinks, showers, and tubs that are slow to drain, and toilets that are slow to flush. In a worst-case scenario raw sewage, wastewater, and waste materials can flood into the property through the toilets, water faucets, and or drains. This can all be avoided with a simple professional drain cleaning. A professional drain cleaning service from Nu Flow Technologies is far more affordable than you may think. It will end up saving you far more money than it costs as well. Our customer service agents are available to answer all of your questions about our drain cleaning services in Florissant, Missouri. If you would like to schedule an appointment please contact us at your earliest convenience. We will book a time that is based on your schedule, not ours. The entire team at Nu Flow Technologies looks forward to working with you.